Stephen and Julie are ordinary, modern English parents. They live relatively uneventful lives in London with their four-year old daughter, Kate. Until the terrible day Stephen looks away for a split-second at the grocery store — and finds that his daughter is gone. Stephen: Please, has anyone seen a four-year old girl, she was wearing a yellow coat, her name’s Kate, please? Please you must have seen her, she was standing just there when I was paying, no…Kate?! Jace: The lingering trauma from the unexpected disappearance of their child tears Julie and Stephen apart. We catch up with them after Kate’s abduction. Children’s book author Stephen has joined a parliamentary panel on childcare, while Julie has retreated to teach piano in a coastal village. Stephen: How long’s it been now? Stephen: Beautiful is the word I was looking for, you look beautiful. 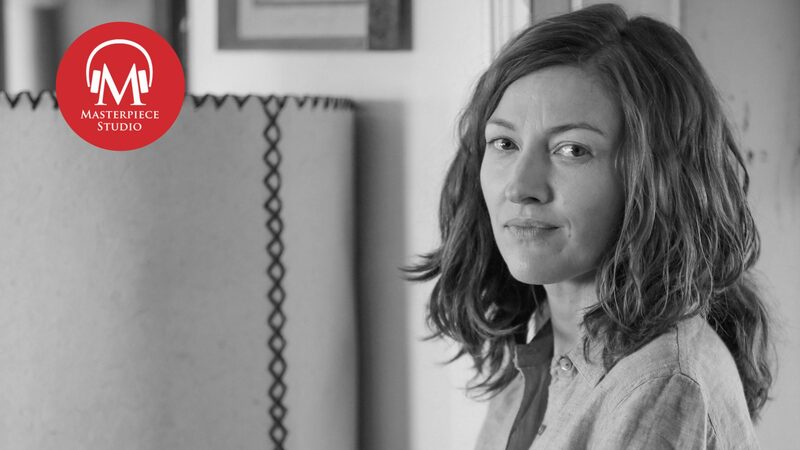 Jace: Actor Kelly MacDonald wasn’t familiar with author Ian McEwan’s prize-winning novel. But the haunting beauty of the television adaptation pushed her to make a move for the role. Kelly Macdonald: I hadn’t ever read the novel — Ian McEwan’s book, I had read other Ian McEwan books, but never that one, so I didn’t really know too much about it, and I just found it very beautiful. It made me feel quite emotional and so I was definitely wanting to meet the director. 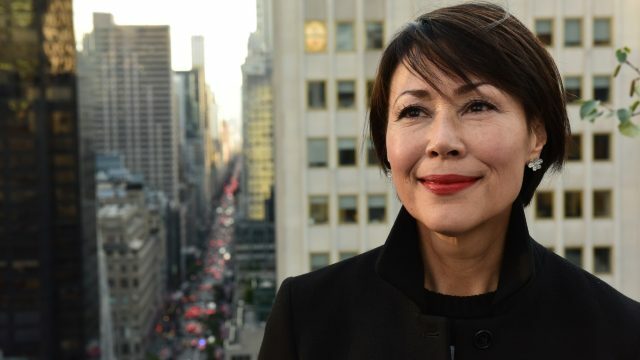 Jace: Macdonald joined us to talk about finding joy on the set of The Child In Time, what she learned in her five seasons on Boardwalk Empire, and how revisiting her debut role as Diane in Trainspotting’s recent sequel was just like starting her career all over again. Jace: And this week we are joined by The Child in Time star Kelly Macdonald. Welcome. Jace: What did you make of the script for The Child in Time when you first read it? Kelly: I found it incredibly moving, but I hadn’t ever read the novel, Ian McEwan’s book, but had read other Ian McEwan books, so I didn’t really know too much about it. I just found it very beautiful and it made me feel quite emotional and so I was definitely wanting to meet the director. Jace: What did you make of Julie initially, and did your understanding or appreciation of her as a character change over the course of filming the story? Kelly: I don’t think it changed very much from that. I mean it’s such a well-written script and the character of Julie, I found incredibly appealing. I mean every scene that I read of hers, I was excited to play out. My opinion didn’t change really from beginning to end. Jace: Well, how did you find her, what do you make of Julie? Kelly: Julie, before the disappearance, she’s a happily married, working mother and just nothing can be the same again after this unthinkable thing happens. She’s just trying to move forward. And she finds it very difficult. The relationship with her husband becomes just untenable because they’re both dealing with this huge grief but in very different ways — she’s trying to move forward, and he’s sort of stuck in a loop and stuck in the past. She just can’t be with him. Jace: The scene where Julie learns of Kate’s disappearance from her husband Stephen is gut-wrenching to watch. Stephen: She was there. She was there. Julie: Stephen, where is she? Stephen: She was just there, she was right there. Julie: What do you mean? Where is she? Where is she now? Jace: How difficult of a scene was that to shoot with Benedict? Kelly: I mean it wasn’t difficult, it was emotional. Julian was very happy for us to ad lib and to make it as real as possible, so we were just feeling our way through what that might be like. And it was a very dramatic moment and very difficult in that sense. But it was — I just find working with good people, easy. I know I should really I should be saying, “How hard…” Generally, if the script is great and the director is great and you’re working with someone that you respect and is incredibly talented, it’s dead easy. Jace: Julie and Stephen’s marriage falls apart after Kate disappears, to the point where, as you say, she can’t even live in the same house with her husband. What is it about this traumatic event that tears these two apart instead of bringing them together? Is there a sort of blame involved, or guilt? Jace: I think there’s blame and there’s guilt. And I think it’s from each of them. But I think with an event like this, it could have gone one of two ways, and it either brings people closer together, or it doesn’t. She just can’t see a life with this man who is in real trouble and she’s not in a place that she can help him in any way. She needs a bit of distance. I think that’s really smart, because they could both have been destroyed. And the beautiful thing about this story is that she sort of returns to help the man that she loves because she’s found a way to start processing and to make each day livable. It’s all about love. And she loves Stephen and she knows that she can help him. Jace: Does she truly blame Stephen for losing Kate, or is it a manifestation of her own sense of guilt and loss? Kelly: I think he blames himself entirely, and I think if someone tells you something about themselves often enough you start to believe it. He keeps blaming himself and whipping himself and when she’s feeling at her weakest, she does the same. Jace: Julie’s grief and rage are truly harrowing to watch. Kelly: It’s just my face. Sorry. Jace: It’s not just your face, no. I mean how do you tap into that extreme emotional state, day after day, and how much of it stays with you once the director says cut? Kelly: Day after would be a nightmare. I couldn’t do it all the time. It’s like some sort of weird magic that happens. I say quite a lot about actors, it is kind of a bit like mental illness, because you have to really believe what you’re telling each other and there’s something a bit mental about that. Jace: I mean, when you leave are you just sort of exhausted? Kelly: There are long days and there’s been emotional scenes that you have had to do a few times. But I mean on this, everybody was so lovely and liked each other so much that it was just nice being on set. it didn’t feel like a harrowing place to be. Occasionally you would see an empty child’s room and then it would bring you back to what the story was. But generally it was a very fun place to be. Julie: Are you busy? writing? Stephen: Yeah. Yeah, I’m writing a story about a boy who wants to become a fish. Julie: Why does he want to become a fish? Stephen: I can’t tell you that. It’s top, top secret. Julie: Why not a dog? Stephen: That’s been done before. Kelly: No it’s not a procedural sort of cop show. Jace: Yeah, I mean it is, in some ways, a commentary on life itself, that some mysteries are just sort of unsolvable. Some things in life are unknowable. Do you see it in that way? Kelly: I do, and there are unexplainable events in the film and I think they needn’t be explained. The thing that I loved about the way the story is told, is that you are left to imagine a lot. You don’t need to see the CCTV footage of the kid in the supermarket and you don’t need to see a policeman interviewing Stephen. You’re left with the silence. I mean though you see Kate in the film, the child in the film, but you feel are in her absence. I just think Julian is an incredibly sensitive soulful man and I think he’s remarkable what he’s done. Jace: Both Julie and Stephen witnessed some ghosts from the past. Stephen sees a younger version of his mother at The Bell. Julie sees a young boy outside her cottage window. What did you make of these occurrences? Kelly: Well in the film, Julie’s is the most explainable in a way. She sees a boy on the beach and she turns round, looks back, and he’s gone. And I think these things don’t need to be entirely explained. Jace: See, I think it’s her son. Kelly: I think that it could be her son. It could be Benedict’s character as a child, but I assume she would know what he looked like as a child, so yeah I think it’s the future son. Jace: Whereas she would not know her son. Kelly: I don’t think it informs very much. I think it’s all in in the context of its own little moment. You have these moments of like déjà vu—I always get excited when I get a deja vu moment because there is this sort of unexplainable feeling that you get. Something that you’re entirely sure you’ve seen before, and felt before, but you haven’t? And it’s like a push-me-pull-you in your brain trying to wrap it round what you’re feeling. I think the world is a mysterious place and I wouldn’t dare to understand the metaphysical aspect of it. Jace: Life is a mystery. Jace: The most surprising element of The Child In Time might be the ending, which reveals that Julie has been secretly pregnant with Stephen’s child, and is in the hospital giving birth. What did you make of that reveal that she is giving birth to a child? Kelly: Well, it’s not a happy ending. But it is — it’s hope. I mean the film is about love and hope, and these two people are always going to be linked, no matter what. That fact is strengthened by the fact that they bring this other child into the world. Jace: Why do you think she does conceal the pregnancy from Stephen? Kelly: I read it as she’s not ready, and he’s not ready to take it on board. It’s organic, the way it’s happening, and she’s letting life play out. He finds out when he needs to find out. Jace: The birth of their son is an uplifting moment that doesn’t erase the loss of Kate. If you were to imagine a future for these two, would you imagine that they do end up together? Or is that in itself another mystery unresolved? Kelly: Either way, I think they have such love and respect for each other. I think they are together. Even when they were apart they were together. That’s what I think. Julie: We’re having a baby. A brother. Nurse: The baby’s nearly here. Just breathe. Stephen: It’s okay. It’s okay. Jace: Do you have a favorite scene from The Child in Time? Kelly: I really enjoyed filming all the stuff at the cottage with Benedict, and there was quite a long dialogue scene we had sitting opposite each other. After they you know reconcile, they slept together basically and neither of them are sure quite what that means for them. And there’s this lovely scene with just beautiful dialogue and that was a real pleasure and easy. I keep saying: when you’re given the tools, it’s really hard not to make something good. I enjoyed that scene very much. Julie: So how did you manage to turn right instead of left? Stephen: Disorientated by my fall. Julie: And how did you manage to fall? Stephen: I was running because I’d thought I’d seen her. A girl in a yellow raincoat. I turned the corner out of the station, and I, she went toward the village so I followed her. Stephen: I’m an idiot. Still looking for her. Jace: Now, true or false. As a child you were bullied for not swearing? Jace: Your first role was as Diane in Danny Boyle seminal 1996 film Trainspotting, one of my favorite all time films, a role that you got after finding a flyer for an open casting call. Kelly: Yeah, It was yellow. Jace: A yellow flyer. What do you remember about auditioning for the role? What was the experience like actually shooting Trainspotting? Kelly: The auditioning process itself was quite lengthy. It was a it was very similar to one of these reality shows now, like one of the singing ones, where people get called back and eliminated. And so, the first time I was in front of Danny Boyle it wasn’t really an audition; it was just a quick, “What’s your name? What age are you?” You know, very quick conversation, and then it was a big hall filled with girls and women of a certain age range. I got called back and I think it was about 100 people called back possibly? And then the next time it was whittled down again, and then again, and in the end it was between me and one other girl. So the first actual audition was one of the callbacks. I arrived and we were given pages to read for about half an hour before we were called in to read with the producer, who read the Renton part. Jace: And then shooting Trainspotting, was it just as mad as it seems from watching it? Kelly: As mad? What do you mean by mad? Jace: I mean were people drunk on the set filming it? Kelly: I said that in the press recently, and there was one day—I think it was my first day actually—we were filming in a nightclub and it was a long shoot day. We had a caravan. This one little, old-fashioned 1970s caravan was our green room, and if you didn’t want to sit in there, then the other option was sitting in the pub. A lot of people went for that option I think. Yeah, but generally, no. There was no drinking and there wasn’t all that on set. Jace: In 2017 you reprised your role as Diane in T2, the sequel to Trainspotting. What was it like going back to that world after all this time and being reunited with your cast members? Kelly: It was two things. It was embarrassingly nerve-wracking, just as it had been the first time. I got this Pavlov’s dog response to being with Danny and all the others again, because the first film was my first-ever acting experience, and it was all new. They would have me come in one day every week to let me get used to the whole process, and it was just constant nerves. I didn’t know how to talk to the boys, I used to hide in the bathroom. I had to shake that off because it was also really, really sweet. It was so sweet being with Ewan again, I loved it. You know I’ve seen him over the years at various events and things but to hang out with him and to play funny scenes together — it was fun. Jace: You were raised by your mother outside Glasgow. You left home at 17 to share a flat in Glasgow. What did your mom make of your career choice at the time? Kelly: I mean my career choice at 17, there was no career. I was signing on at 17, and then when I was 18 I got a job in a pub. 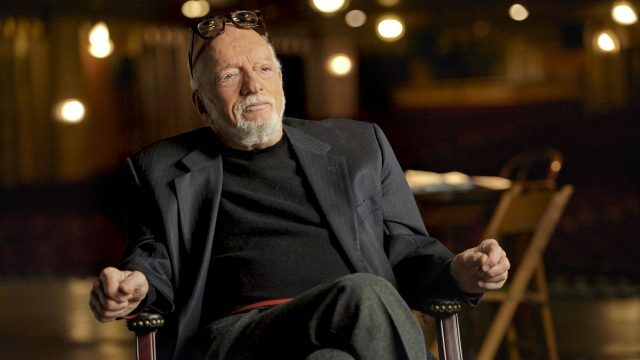 I always was interested in film and at school I was always really excited in English if we were studying a play, because I enjoyed learning the dialogue, and I found writing essays about play really easy because I would learn chunks of dialogue and be able to quote it. But I never thought it was a possible career choice, it certainly was never spoken to me at school. I remember getting career advice, and saying well I’m quite interested in acting, and the career adviser acted like I hadn’t even spoken and just carried on talking. And so my mom, bless her, she never acted surprised when it was happening. Growing up, I always had always been messing about, and I used to record myself doing different scenes—I had a little tape recorder—and play them to her. She was unperturbed and unsurprised and just let it play out. Jace: It was a only a few years after that that you starred in Robert Altman’s Gosford Park. What do you remember of that experience? How special did it feel at the time? Kelly: Oh, so special. Now every job feels special. Trainspotting felt special, and I had nothing to go on. It was my first ever experience on a film set. But Gosford Park definitely felt special and it was. It was kind of bonkers. I mean the cast list every day was insane. I’m amazed that they managed to keep us all under control and know where everybody was. Jace: It’s a bit of a sprawling cast and sort of an embarrassment of riches. Kelly: It was. I mean I’m friends with Colin Firth, and he says he’s the only British actor that wasn’t in that film. We were on location and there was endless trailers, it was like living in a sort of celebrity trailer park. It was crazy pants. Jace: In that movie too you share a lot of your scenes with Dame Maggie Smith. What was it like working with Maggie and did she offer you any advice at the time as a young actor? Kelly: Oh, no. I got to hang out with Maggie a lot. You know I was her lady’s maid. They were doing press for the film and we were paired up together as well. It was certainly a nice way to end it. I don’t remember her giving me advice but we had a lot of fun. Jace: Why do you feel like you’ve been cast to so many domestic servants over the course of your career? It is strange. Kelly: It’s my face? It’s my voice? I don’t know. I am Celtic and…I don’t have any idea. I’ve got a downstairs face. Jace: True or false: You auditioned for the role of Trinity in The Matrix and it was a disaster? Kelly: You know what, I didn’t even know she was called Trinity, I hadn’t read the script. I didn’t know what they were talking about in the room. I should never have gone. I’d been lazy and hadn’t read it. Yeah it was. It was very embarrassing. A lot of people auditioned for that. I was possibly the worst person. There was a punch bag in the room and I had to run at it and punch, and I didn’t do it very well. Jace: You once described that audition as your most embarrassing moment, along with being made to sing on Boardwalk Empire. How traumatic was the latter? Kelly: Like entirely, that might be the worst thing that’s ever happened to me. We did rehearsal in the morning. I’d been fighting it since I read the episodes and I said, “I can’t, I can’t, I can’t, singing, no, no.” And people were just ignoring me. And then it got to the day of shooting and I was still trying to get that and then suddenly we’re sort of all driven up to the house to rehearse the scene. I was so mortified on the way back. We had to go back and get changed and touched up for hair and makeup. They had to reapply my entire face because I had cried it all off by the time I got back, I was so unhappy. I know. It was really pathetic. And then the producer bought me ice cream afterwards, and I don’t really like ice cream and I had to eat it to be polite. Jace: You spent five seasons on HBO’s Boardwalk Empire as Margaret Thompson. What did you make of Margaret and her final scene with Steve Buscemi’s Nucky. Kelly: I loved Margaret because she was naughty and nice. Sometimes she was a goody, goody two shoes. Jace: And sometimes she’s sleeping with the chauffeur. Kelly: Yeah I know, or she’s wielding a shotgun. I loved her. That last scene was the last scene that we shot, and it was very moving to have been in the very first scene of filming the pilot, and then to be there right at the end. It was a very emotional time. Jace: I loved that scene. The two of you dancing together in this empty apartment that this married couple’s about to move into. And it’s such a beautiful, poignant send off. How emotional was it shooting that final scene with Steve? Kelly: It was. I mean there was a there was a lot of tears, there was speeches. I mean, it was time to say goodbye to it. I think everybody was ready. But it was just really sad. It was like leaving school or something you know? It was a long time, five years. Jace: How did Boardwalk Empire change your career? Did it change your career? Kelly: I think it did, I’m not quite sure maybe ask me in ten years. I think it did in America; a lot of people watched it. More people watched it here than back home. But I can’t answer that question; I’m not entirely sure myself. Jace: You play Mrs. Hudson in the upcoming Holmes and Watson opposite Will Ferrell. 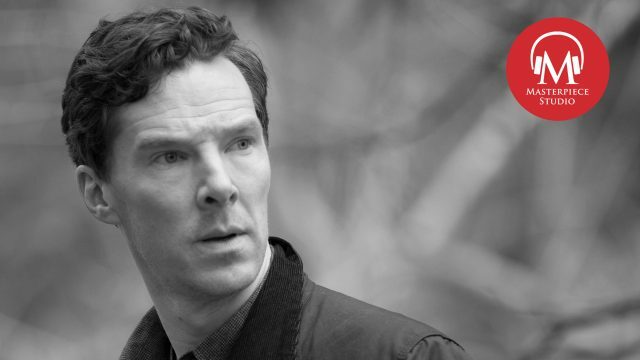 Did you tell Sherlock himself, Benedict Cumberbatch that you were moonlighting in a competitive Holmes project? Kelly: I did. He said this morning actually he was jealous. It was bonkers to go from one Sherlock and then to work with another. I did Holmes and Watson just before The Child in Time. So yeah it tickled us. Jace: Two very different Sherlocks. Kelly: I mean I haven’t seen Holmes and Watson, but from what I saw on set, it’s very different. Jace: You’ve had tremendous success in both film and television and your IMDB page is sort of insane. Do you have a favorite role that you’ve played? Kelly: I don’t know. I loved playing Olive in Goodbye, Christopher Robin. I just loved making that film and that part. Jace: Your career has seemed to be based on taking risks, going all the way back to showing up for that open casting call for Trainspotting and that yellow flyer. What advice would you have for an actor who’s just starting out now? Kelly: The only advice I’m going to give right now is to be a generous actor with your scene partner. Even though I didn’t go to drama school, I’m sure that’s the thing, the scene partner. I just love working with people that are really great, and listen, and are reacting to you in the moment. It’s just a real pleasure, and I think you’ve got to be very giving. Jace: Kelly Macdonald, thank you so much. Jace: Benedict Cumberbatch is one particularly busy actor as of late—with his repeat role as Doctor Strange in the upcoming Avengers: Infinity War, among many others—but he still found time to join us on MASTERPIECE Studio for a conversation about his role on The Child in Time. Benedict Cumberbatch: I think one baffled viewer described it as the worst episode of Sherlock ever, which, you know, while funny, kind of belittles the point of what it does achieve. Jace: Watch for that special interview, appearing this Wednesday, April 4th, 2018, in your podcast feeds.